As the world continues to move toward an ever-increasing reliance on electronics for a variety of uses, the question then turns to the protection of these electronic devices. Interference from radio frequencies and/or electromagnetic energy can be damaging to electronics and render them inoperable. In answer to this critical issue, there has been a great deal of research conducted on shielding and ways to eliminate radio frequency interference (RFI) and electromagnetic interference (EMI). There are three primary methods of preventing interference from radio frequencies and electromagnetic energy. The first involves a reduction of cables and wires so that no excess is used. A second method requires the installation of additional parts, such as inductors, circuit breakers or capacitors, in an effort to provide a filter system. Providing some form of enclosure for the electronic device is the final method of protecting these valuable parts. For many of today’s applications, enclosures provide better protection at a more value-conscious price point. Unlike enclosures made of other materials, such as metal or aluminum, plastic enclosures provide a material that is easy to work with in terms of RFI/EMI shielding. In most cases, plastic enclosures that are designed to offer such protection are sprayed with a lacquer with an acrylic base that is combined with copper or nickel. This coating prevents the electronic device within the enclosure from being damaged by radiation. Frequency disturbances that one device can emit could damage another electronic device. Using plastic enclosures with RFI/EMI shielding provides a simple and effective method of ensuring that these frequency disturbances are not an issue. 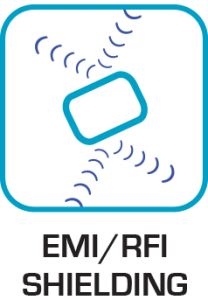 Because RFI and EMI can cause significant interference in devices — such as the suppression of the signals that a device generates internally, internally-generated emissions that can interfere with normal equipment operations or ambient external interference with other equipment operations — providing a method of shielding is imperative for the successful operation of many of today’s crucial industries. One of the most important industries in the world today — the telecomm industry — relies heavily on preventing the effects of RFI and EMI. A signal’s reception can be hampered other signals that are too similar in frequency. Using RFI/EMI shielding can prevent interference from those frequencies that are not correct. Within the medical industry, the Food and Drug Administration (FDA) has set strict standards that medical providers must comply with. Medical equipment must not be affected by those electronic devices that are found throughout the facility, such as cell phones, tablets and other electronic devices. RFI/EMI shielding ensures compliance with these regulations. Within the board room, protecting audio/visual equipment from interference from nearby electronic devices with the use of RFI/EMI shielding increases productivity while protecting valuable equipment. SIMCO specializes in offering enclosures to meet a variety of needs, including plastic enclosures with RFI/EMI shielding. The coating they use, SprayLac, is the leader in the industry and offers superior results for SIMCO‘s customers. Contact them at 800.780.9090 for more information. This acronym means Radio Frequency/Electromagnetic Interference. This is a kind of interruption that has an effect on an electrical circuit that is caused by electromagnetic energy from an outside source. When such interruption occurs, it will have a damaging effect on the electronic device affected. And since there is an increase of usage of electronic devices, there is a higher chance that an electronic interference may happen. For this reason, there have been a lot of research and initiatives done in order to prevent this to ensue. What are the different ways to prevent RFI/EMI? There are several techniques to prevent RFI/EMI. The first way is to use cables or wires as minimal as possible. This just simply means that when electronic devices are connected via cables or wires, it should be measured well so that no extra cable loops out. When cables and wires are measured well, it has minimal chance to experience electromagnetic interference. Meanwhile if cables and wires are left looping, it can cause a lot of interferences. The second way is to install a filter system on the electronic device. This just simply means that the electrical source and electrical load to and from the device should be carefully thought of. In doing this, capacitors and inductors or even circuit breakers must be installed to control the flow of electricity which protects the electronic device. The third and most important way is to protect the electronic device with an enclosure that is RFI/EMI safe. There are many kinds of enclosures that are proven RFI/EMI safe. There are aluminium, metal, and plastic enclosures available to all consumers around the world. The best and cheapest kind of enclosure to use on electrical device is plastic enclosure. 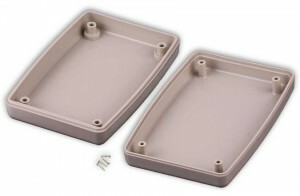 There are now plenty of plastic enclosures available in that provide electromagnetic interference shielding or EMI shielding. RFI/EMI shielding is a way of protecting electrical devices that are installed inside plastic enclosures to ensure minimal or no electromagnetic interference. 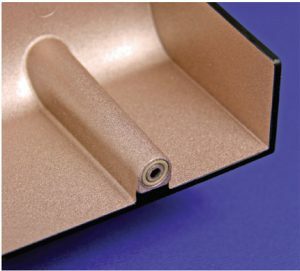 Plastic enclosures that have RFI/EMI shielding are usually sprayed with an acrylic based lacquer combined with nickel or copper which prevent the housed electronic device from damages due to radiation. Which company produces the best plastic enclosure with EMI shielding? Top of the line plastic enclosures with RFI/EMI shielding are made available by Standard Injection Molding Company or Simco. Simco uses the best and up-to-date spray coating to prevent RFI/EMI. This coating is called the Electordag 550 Coating. This most recent kind of coating has the best attenuation rate and has the highest guaranteed protection from radiation and emission. Why is it important to use plastic enclosures with RFI/EMI shielding? Using RFI/EMI shielding to protect electrical devices ensures no frequency disturbances from one device to another. For telecommunications companies, they need to protect their telecom devices from RFI/EMI so that no other radio frequencies may affect or intersect from the frequency that they use. A concrete example is when you turn on an old television set and you use a two-way radio nearby. Somehow the television will be interfered by the frequency used by the two-way radio. The television may broadcast the conversation transpiring from the two-way radio. Another setting that really needs RFI/EMI shielding is the airport. The constant communication transpiring among different airplanes and the tower must never be interrupted by any other radio frequency. If there is no EMI/RFI shielding, disasters may happen. This is the reason why RFI/EMI shielding is very crucial. What is Simco’s thrust when it comes to RFI/EMI shielding? Since RFI/EMI shielding can save lives and make our everyday lives safer and better, Simco wants to make sure that the quality they offer is incomparable from any other companies. In order for them to live by those values, Simco complies with standards that can assure top quality to all its clients. Simco’s plastic enclosures go through testing at Underwriters Laboratories or UL. This is a highly credible consultation and certification company located at Illinois. Simco is proud to state that all of its plastic enclosures are UL certified which means that all of its plastic enclosures have passed safety and quality tests. 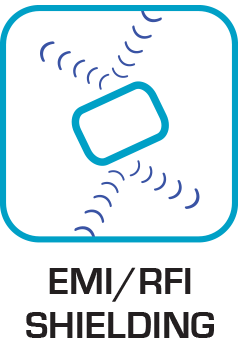 RFI/EMI shielding is essential to ensure no radio frequency leakage or infiltration between devices. Whether it is a small or big electronic device, it should still be shielded from RFI/EMI. Now that we have discussed in detail what RFI/EMI is and how it is shielded, you can now understand the importance of using enclosures that have RFI/EMI shielding. Hence, should you need to enclose your electronic device and shield your other devices from radiation or emission; you should invest in good quality enclosures from Simco. All of its plastic enclosures are UL certified and can be RFI/EMI shielded. You can check all their products at www.simcobox.com. SIMCO is a one stop shop for plastic enclosures. 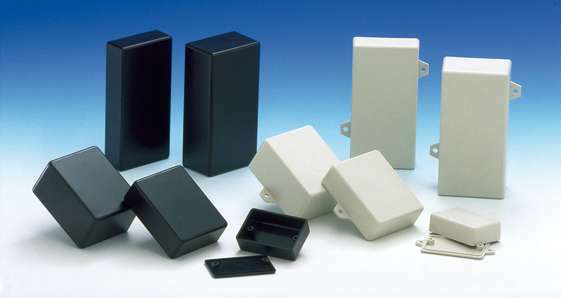 It has a wide range of plastic enclosures that suits the needs of the current market. This is why Simco is the best manufacturer and supplier of plastic enclosures. Simco boasts of three main things – variety, durability, and innovation. These three characteristics are what make Simco the leader in the market. It is important to run through all these three characteristics to better understand and even prove why Simco is the leading supplier of plastic enclosures. Simco has a variety of plastic enclosures for every single client on the planet. All of these plastic enclosures are made possible by the best research and development team that Simco employs. Simco has the best designers and engineers who design and create various plastic enclosures. 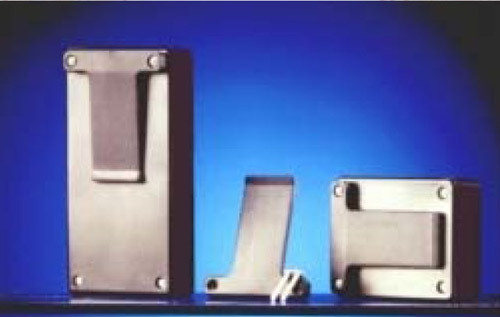 There are four main kinds of plastic enclosures offered by Simco. The first kind of plastic enclosures is the Plastic Utility Boxes. There are four different kinds of plastic utility boxes. The first kind is the Wall Mount Enclosures. This offers internal or external wall mounts that can be screwed on flat surfaces like walls or ceilings. The second kind is the Deep Bottom Plastic Enclosures. The third kind is the 4 Outlet Wall Mount Enclosures. This is especially made to be installed over an electric outlet or box. The fourth kind is the Potting Boxes. This kind of enclosure has a top and bottom panel that attach without screws. 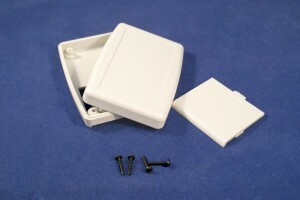 The second main kind of plastic enclosures offered by Simco is the plastic pocket size enclosures. Simco has two series for the plastic pocket size enclosures. These are the Endeavor 24 Series and the Endeavor 35 Series. Both series have rounded edges and drop-in panels for switches or screens but the latter is slightly larger than the former. 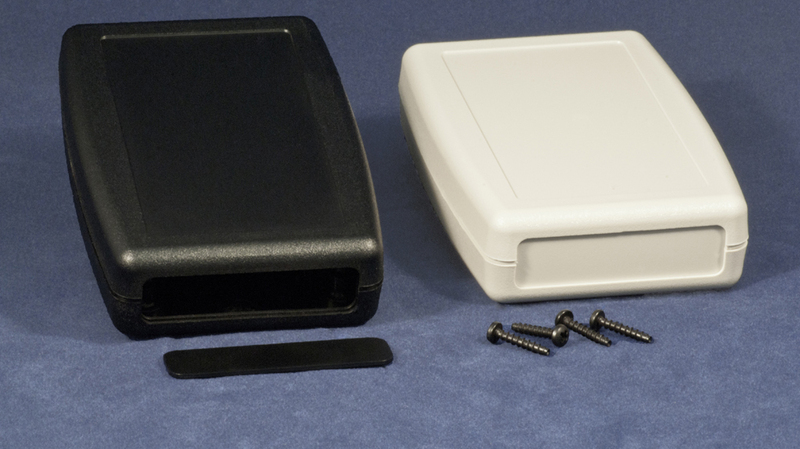 The third main kind of plastic enclosures is the plastic handheld enclosures. It has three series – Discovery 36 Series, Discovery 38 Series, and Discovery 45 Series. The first series is smaller and has provision for batteries. The second series is narrower but taller for devices such as remote controls. The third series is the most ergonomic and has panels for keyboards or switches. The last kind of plastic enclosures is the plastic desktop enclosures. There are two series under this kind – the Challenger Series and the Enterprise Series. The Challenger Series is a large project case that is good for devices that are installed on tabletops. 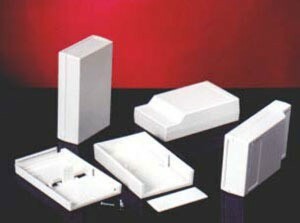 The Enterprise Series is the largest among all of Simco’s plastic enclosures. 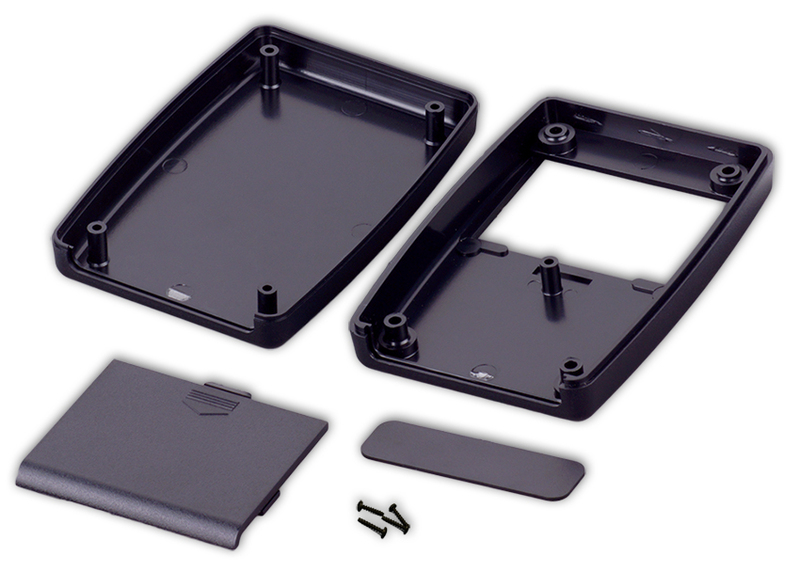 All of Simco’s plastic enclosures are made from ABS plastic. ABS plastic is made from Acrylonitrile butadiene styrene. This kind of plastic is impact resistant as well as weather resistant. This means that Simco’s plastic enclosures can survive years even if exposed under the sun or rain. Aside from this, all of Simco’s plastic enclosures have an IP65 rating. This means that the electronic devices sealed in a Simco box is protected from dust and water. Simco does not only sell durable plastic enclosures; it also assures that the electronic devices installed within the box are protected as well. Lastly, all of Simco’s plastic enclosures offer the 94VO-UL version. This version is flame retardant so this is good for electronic devices that will be installed near extremely hot environments. When Simco vowed to make all kinds of plastic enclosures, they made sure they kept their promise. Simco launched their custom-made option for customers who have not found a right fit for their electronic devices. Customers who want a fully custom-made plastic enclosure just have to provide Simco with a blueprint. The blueprint will then be given to Simco’s resident designers and engineers. Simco will then contact the customer for further refinement of the initial blueprint. When both parties agree to the final design, it will be manufactured. This assures customers of quality and satisfaction. 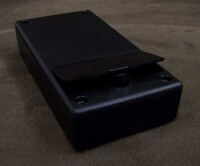 Simco also offers custom design for their existing line of plastic enclosures. Companies that order in bulk may opt to etch their company logo on the surface of their chosen plastic enclosure. Simco will gladly accept other external designs requested by their customers. Simco also allows drilling on the side panels of their plastic enclosures. This is to accommodate customer requests on additional windows for screen panels or provisions for switches and buttons. Simco is not only the leading supplier of plastic enclosures; they also come first when it comes to customer satisfaction. So go ahead and check out all available plastic enclosures at www.simcobox.com and find the best suited plastic enclosure for your electronic devices. 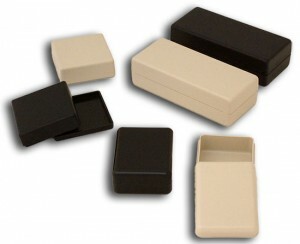 You may also check out their existing line of accessories to make your plastic enclosures as personalized as possible. What is an Ergonomic Design? Any system or product is meant for a purpose. To realize this purpose, it must be made in a proper way. It should be functional. It should also be easy to use. Many efficient products may fail if they are not user friendly. When a product is made with user friendly features, it is said to have an ergonomic design. Ergonomic design studies the human factors. These factors are studied while crafting a system or product.Human factors are a set of disciplines. These factors study the communicationsbetween humans and the surrounding objects and environment. It studies how people handle objects. It also studies what is simple for them.Ergonomicthings are easy and comfortable to use. It is easy to learn and handle these products. Ergonomists make use of their knowledge on human behaviour. They also study other sciences to make ergonomic products. A lot of research and data are required in making an ergonomic design. These researches study the difficulties faced in designs. They then propose new designs based on research data. A common usability test isused to evaluate a design. Physical ergonomics deals with making consumer and industrial products. This field of ergonomics uses many branches of science. They aim at creatingthe most comfortable and safe products. Cognitive ergonomics deals with making products that do not require deep thinking. These products do not strain a user’s memory. They are also easy on cognitive abilities. Cognitive abilities include perception, memory, reasoning andmotor response. This field focuses on producing products. The products reduce mental workload. It helps in creating products and systems that are easily learnable. Organizational ergonomics deals with the social structures and policies. It helps in improving these systems. Improvement is done with the help of ergonomic work environment. Products with ergonomic design are found to have been successful. They are better in terms of functionality.People find it easier work with ergonomically designed products.They find it enjoyable. Ergonomic design also boosts productivity. It encourages people to work more comfortably. Users can understand the product easily. They can use it better. Ergonomics improves correctness and reduces errors. It reduces stress, strain and chances of injury.It reduces tiredness and fatigue. People tend to work with a relaxed mind.It also saves time and cost. It lets people learn faster. It also helps them to work faster. 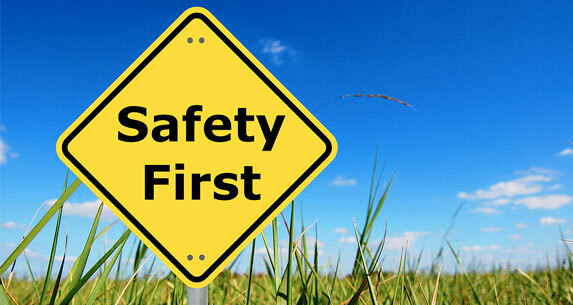 It improves efficiency and reliability.Ergonomic products fulfil safety regulations. They are hence highly recommended. It also adds an appealing touch to the products. 24TB ABS Pocket Size Plastic Enclosure and 45TB, 45 Series – Plastic Hand Held Enclosures from SIMCO meet all the characteristics of a good design. These are pocket size and hand held plastic boxes. They have an ergonomic design for easy use. They have an advanced ergonomic design for comfort. They are easy to handle and these plastic enclosures are available in many sizes. The enclosures are made from ABS plastic. ABS material is a thermoplastic polymer. It is chemical-resistant. It is tough and has a good impact resistance. It satisfies the ergonomic guidelines as it a safe material. It provides protection against high heat and impact. It is flame retardant. It is also RoHS compliant.These boxes are durable. They are also environmentally safe. The 45 Series – Plastic Hand Held Enclosure measures 1.40″ x 3.680″ x 5.360″. Its ergonomic design features rounded corners, curved contours, and a slightly recessed area for key pads, overlays, etc. It is suitable for many applications such as meters, medical and test equipment. This hand-held enclosure has an IP Rating of 65. 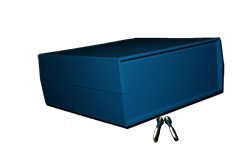 The 24TB plastic enclosures measure 1.00″ x 2.825″ x 4.120″ and offers 7.8 cubic inches of internal space for your design needs. Like the 45 Series – Plastic Hand Held Enclosure, its ergonomic design features rounded corners, curved contours which will allow it to lay in your hand comfortably or you can drop it in a pocket when it is not being used a handheld device. The enclosures are also pleasing to look at. They are beautifully designed with a good finish. Choosing the best enclosure to protect electronic devices can really be confusing and taxing for some. There is such a wide range of enclosures available that makes it more confusing for consumers. From plastic to metal, from cheap to expensive, and from light materials to heavy duty, one just can’t decide which the right fit is. Before you head out and buy yourself a plastic enclosure, it is best to answer these essential questions to learn what you truly need. The first question to ask is where are you going to install your electronic device? Are you installing it outdoors or indoors? If you are installing your device indoors, then the best suited plastic enclosure for you maybe a polyester plastic or polyvinyl chloride (PVC) plastic. These plastic materials are best suited indoors because of its weak resistance to heat and direct sunlight. Both also have good moisture resistance which make it a better choice for indoor installation. 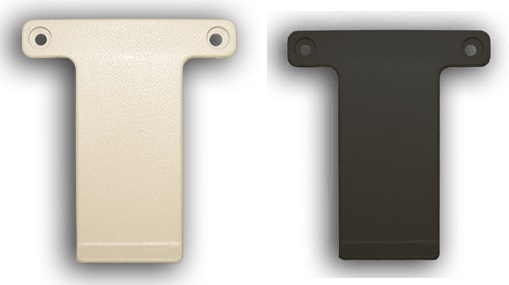 Lastly, both are cheaper options that other plastic enclosures mixed with fiber glass and stainless steel enclosures. If your answer to this question is outdoors, then you must choose a plastic enclosure that can withstand different elements of weather like rain, wind, snow, sun, and the like. The best plastic enclosure for outdoor use is the poly carbonate one. Aside from its reasonable price, plastic made from poly carbonate can withstand extreme heat and extreme cold temperatures. It also can survive an acidic environment, which means it can withstand rain. There are also sub questions that you can ask yourself. For example if you are installing indoors, will it be mounted on the wall or on the ceiling? Or if you are installing outdoors, will it be installed on the roof or out on the garden? There are quite a number of available ready-made plastic enclosures for wall-mounted or roof-mounted devices; however there is also an option to have the plastic enclosure custom-made. The latter is of course more expensive than the former. The second question to ask is what is the function of your device? If your device is a meter, for example electric meters where frequent readings are done, then you need a transparent plastic enclosure or a plastic enclosure with a transparent lid. If the device is not a meter, then you can opt to get a fully opaque plastic enclosure. There are actually more choices with the fully opaque plastic enclosures. There are opaque enclosures that have shallow settings and some have deeper settings and both are available for indoor, wall-mounted devices. Again, if none of your desired plastic enclosure is readily available, you can have a custom-made one but expect it to be way more expensive that the ready-made ones. The third question to ask is how much your budget is. People usually make their choices according to the budget available; however it is almost always proven that cheap does not really last and does not always do the job. This is the reason why this question is placed third on the list. Do not buy according to how much you can spend. You must know first the kind of quality you need. It is definitely cheaper to buy ready-made plastic enclosure as what has been mentioned previously. Plus, plastic enclosures are way cheaper than the old enclosures made from stainless steel or pure fiber glass. 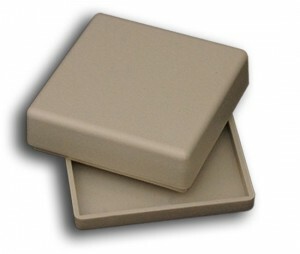 To give an idea, small plastic enclosures (0.5 inch x 1 in x 3 in) sold retail can be as cheap as $3.00 a piece. The last question to ask is why buy plastic enclosures? There are a handful of reasons why consumers choose plastic enclosures and why experts also recommend it. The first and probably the most important for consumers is its cost. Plastic is cheaper than its competitors: metal, wood, fiber glass, stainless steel. Despite its cheaper costs, the new age plastic enclosures are durable and lightweight. Plastic enclosures can survive weather and time, plus it definitely does not rust unlike metal. The second and probably the most important reason for the experts is its electrical resistance. This means that plastic is not a conductor of electricity which makes it safe for consumers. Aside from this, the new plastic enclosure does not spark electronic arcing which does not discharge current that can cause fire or ground. Another reason is aesthetics. Since plastic is easily formed, it can have a variety of designs, shapes, and sizes. This gives the consumers a variety of options which can suit their budget and their taste. Now choosing the best plastic enclosure for your device is less confusing and more enjoyable. You can now head to your friendly neighbourhood hardware or go online and purchase the plastic enclosure that will fit your requirements and needs. Enclosures are used in the industry to cover a wide range of devices. Most industrial places have these boxes. You can also use the cases to carry other items apart from those found in the industry. The boxes are very important because they protect tools from dust, water, and chemicals, among others. Some of the materials that makers use for enclosures include fiberglass, stainless steel, aluminum, and sheet metal. In the same way, enclosures come in different sizes. There are also those covers that are fixed while others are portable. A further division of the portable covers gives both handheld and pocket size types. Handheld covers range between 6 and 11 inches in size. They are slightly bigger than pocket size covers, which measure about 3 inches. You can use pocket sized covers to carry many types of equipment. Common uses of pocket size covers include infrared devices, radio frequency (RF) devices, personal security tools, medical gadgets, and measurement tools. You can also use these cages to carry small things such as jewelry, mobile phone, keys, and media players. It usually easy to alter certain covers, especially those made from plastic. However, the job is even easier if you are dealing with a pocket size enclosure. As long as you have the right machine, working with a small device is easy. Modern VMC milling machines can produce customized products with very high degrees of accuracy. When the customization is being done from a standard part, the part must first be secured on the machine. Then, the drawing of the desired part is loaded into the machine and the right tools as well. Then the operator starts the machine so that it can create the slots, holes, tapings, and so on. If you are to do such kind of change, you will find pocket size covers very easy to handle. Whatever material you are using, small covers will always be easier to machine, drill, chamfer, and so on. Movement of certain cages is very important, if you desire to use your device in different places. For example, people are nowadays walking around with medical tools, media players, and cameras. If there were no small sized cages, users may have to think twice before carrying such delicate devices. Makers are able to make pocket size cages that cover small devices for better use and security. The main use of a pocket size case is to make a device easier to carry. Some devices do not have good handles and carrying them can be a problem. Pocket size cases solve this problem very easily. Impact resistance is simply the ability of an object to resist breakage in the event of a sudden force against it. When a case falls, it suffers an impact. The larger the object is, the higher the effect of the impact will be, and vice versa. Most manufacturers create enclosures with the consideration of this resistance in mind. However, you can draw an extra advantage by going for pocket size cases, if your device is small enough. Even for the small devices, the maker has the option of using large cases. However, it is better to make pocket size covers and use less material. This is very important if you look at the cost of production. By using small sized covers, companies are able to save a lot of money and make more profits. The look of any product is very important. If the good is not so attractive in its normal form, you can use a pocket size covers to hide the “flaws”. Some companies have also taken pocket size cases as a way of marketing. You can add certain features of your business, for example the logo or tag line, on top of an enclosure to market your business. This is an easy yet effective form of marketing. Whenever the user removes the enclosure in front of people, your business will have gained some mileage in terms of reach. There are many types of cases in the market. These covers vary in terms of size, material, weight, and design. Each of these covers has its own share of advantages and disadvantages. When you are choosing a pocket size enclosure, be sure that it can handle the size and weight of the device. You also need to know the level of modification needed to decide if the pocket size enclosure can handle it. This way, you will be able to experience the many advantages of pocket size enclosures.